Pack - Book & CD: Small Hydroelectric Engineering Practice is a comprehensive reference book covering all aspects of identifying, building, and operating hydroelectric schemes between 500 kW and 50 MW. In this range of outputs there are many options for all aspects of the scheme and it is very important that the best options are chosen. 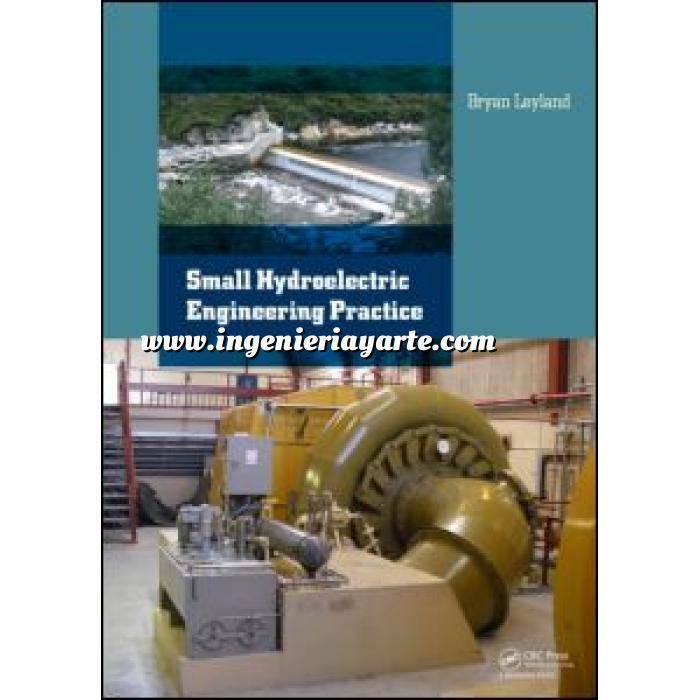 Small Hydroelectric Engineering Practice is a comprehensive reference book covering all aspects of identifying, building, and operating hydroelectric schemes between 500 kW and 50 MW. In this range of outputs there are many options for all aspects of the scheme and it is very important that the best options are chosen. As small hydroelectric schemes are usually built against a limited budget it is extremely important that the concept design is optimum and every component is designed to maximise the benefi t and minimise the cost. As operating costs are often a high proportion of the income it is very important to make sure that everything is designed to be simple, reliable and long lasting. The book is based on the experience gained over 45 years on the overall and detailed design, construction and commissioning of more than 30 small hydropower schemes. It includes contributions from experts in the field of intakes, water diversion structures, geology, canals, painting and other aspects of hydropower development. It is intensely practical with many drawings and photographs of schemes designed and commissioned by Leyland Consultants and others. There are also sections on preparing specifi cations, tender assessment and operation and maintenance. The book includes a CD with spreadsheet programs for analysing aspects of small hydropower development and many arrangement drawings and detail designs for gates, penstocks, electrical systems and control systems. Typical specifi cations for generating plant are also included. The spreadsheets will be useful during the feasibility stage and the drawings will enable designers to scale the designs as needed for their own projects. Consultants, developers, designers, builders and operators of small hydroelectric schemes will find this book invaluable..
17.3.5 Is the specification tough enough?